Have a complete and powerful online listing across the most authoritative directories is not only smart it is requried. Having an inconsistent listing across the internet will be confusing to not only potential clients but, to search engines like Google. Our local listing service will help you succeed in online business directories. We use your VERIFIED Google My Business (GMB) listing or Verified “Local” Facebook Business Page as the starting point. From there we can send the listing information to 9 of the highest authority and highly trafficked directories so that they all share the same information. This is crucial to your local listing success. If you are a Baltimore Maryland business you want to be sure that your local balitmore listings are correct and complete. Changes to your online listings are a simple email away. Send us the changes (including adding images!) and we’ll be sure to get them sent out across the local listings so there are consistent data among them. 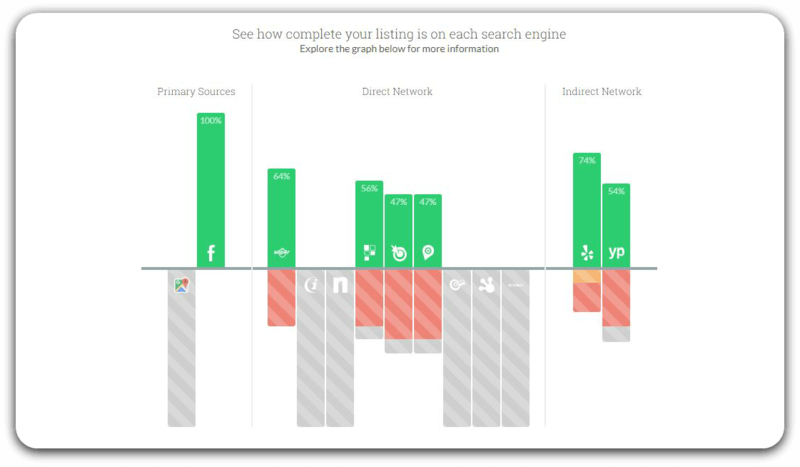 Did you know that competitors can change your listings? Yes they can, that’s why we continue to monitor the local listings for accuracy for as long as you are with us. You will receive weekly reports showing you the progress of changes taking place. The initial set up and distribution will take 6-12 weeks. Monthly reporting continues for as long as your with us. Learn more about the importance of hiring an internet marketing company. Take a peek at what our clients have said about our baltimore local listing service. We get your business listed on the top 10+ authoritative (Google relys on them) local business listing sites and we also ensure, weekly, that your listings are accurate and complete.